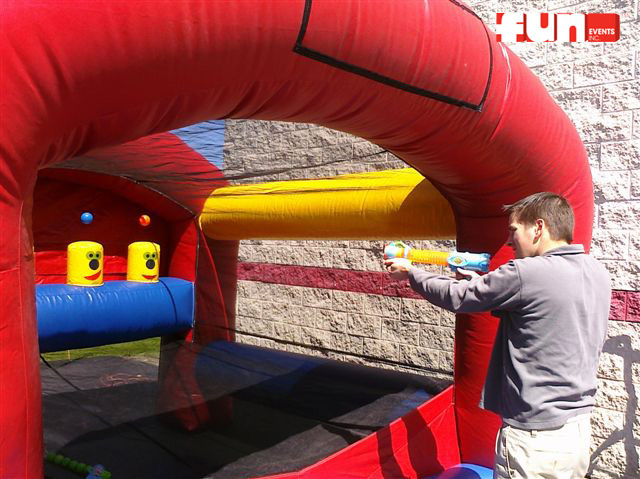 Test your shooting skills with the Airshot Target Shooting Challenge. 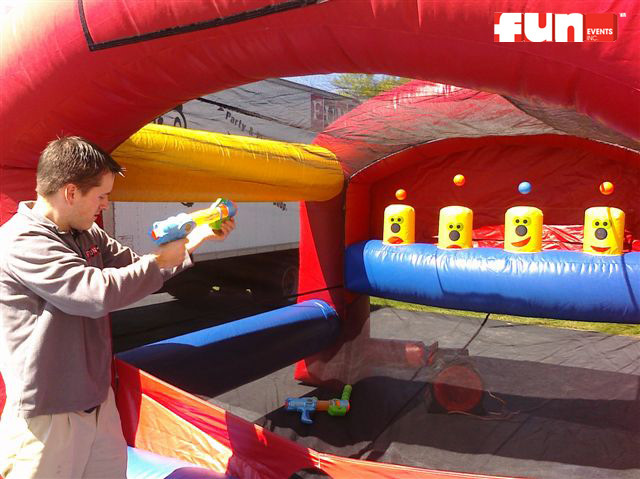 This is a fun interactive game to test participants ability to shoot a moving target. 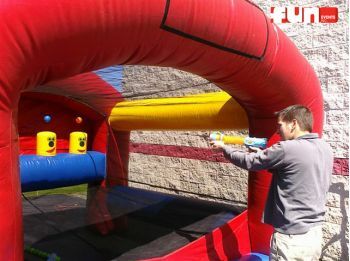 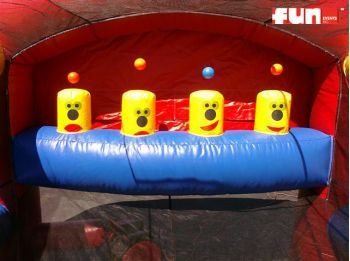 Guests use a nerf style air pump launcher that shoots small foam balls to hit a floating plastic play ball out of an airstream. 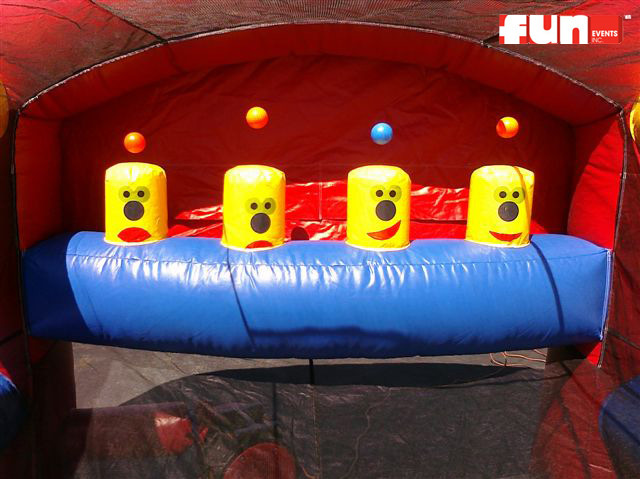 This fun activity is sure to entertain and challenge guests of all ages.